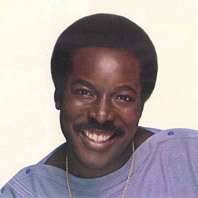 January 19, 2006 Wilson Pickett, soul singer and songwriter, died. Pickett was born March 18, 1941 in Prattville, Alabama. He grew up singing in church choirs. In 1955, he moved to Detroit, Michigan where his forceful and passionate style of singing was developed. In 1959, he joined the Falcons and in 1962 they released “I Found a Love,” which was co-written by Pickett and featured him on lead vocals, which peaked at number 6 on the R&B charts. Pickett’s first success as a solo artist was “It’s Too Late” (1963), but his breakthrough came with the release of “In the Midnight Hour” (1965) which hit number 1 on the R&B charts. Other number 1 singles by Pickett were “634-5789” (1966), “Land of 1,000 Dances” (1966), “Funky Broadway” (1967), and “Don’t Knock My Love, Pt. 1” (1971). Pickett recorded more than 50 songs that made the R&B charts and many crossed over to the pop charts. In 1991, Pickett was inducted into the Rock and Roll Hall of Fame and in 1993 he received a Rhythm and Blues Foundation Pioneer Award.